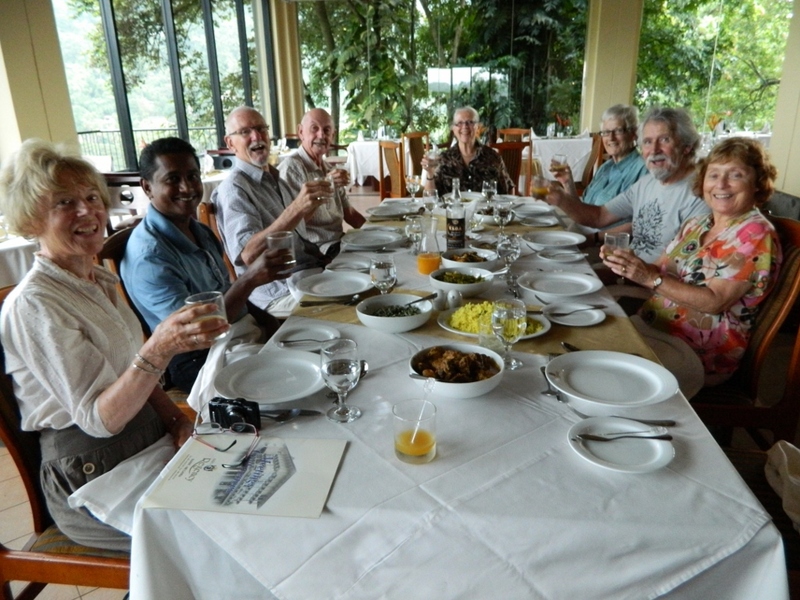 Here it is, a photo of the group enjoying a Sri Lankan feast … proof that we shopped in the markets of Kandy, bought fish and meat displayed in what Westerners consider worryingly un-sanitary conditions, cooked it ourselves, then ate it … and lived to tell the tale. We cooked Duntel Bath, chicken, beef pepper and white fish curry, Potato Bedum, Tempered Beans, and Watalappan. Several Arrack (local coconut liquor) and passion fruit cocktails accompanied the meal, and according to our ever diplomatic guide Benjamin – our curries tasted completely authentic.